Embracing new technologies and meeting customers’ changing expectations of convenience and quick service has helped brands like Domino’s, Starbucks, and Taco Bell win loyalty and increase sales. The technology behind pizza ordering (of all things) is becoming a modern miracle to the degree that it may have even saved lives in the recent case where a woman in a hostage situation was able to request 911 help as a special order alongside her large pepperoni and garlic bread. Brands are now using these new tech-enabled ordering strategies to deliver not only tasty pies, but core brand messages to boot. For the pizza delivery businesses in particular, convenience has always been a core brand attribute (as exemplified by the possibly apocryphal story of a delivery person who brought an order not only to a house, but directly to the specific room inside where the hard partying customer lay waiting). For Domino’s, this emphasis on convenience is perhaps especially true to the company’s essence, with its legacy as the “30 minutes or it’s free” delivery brand. 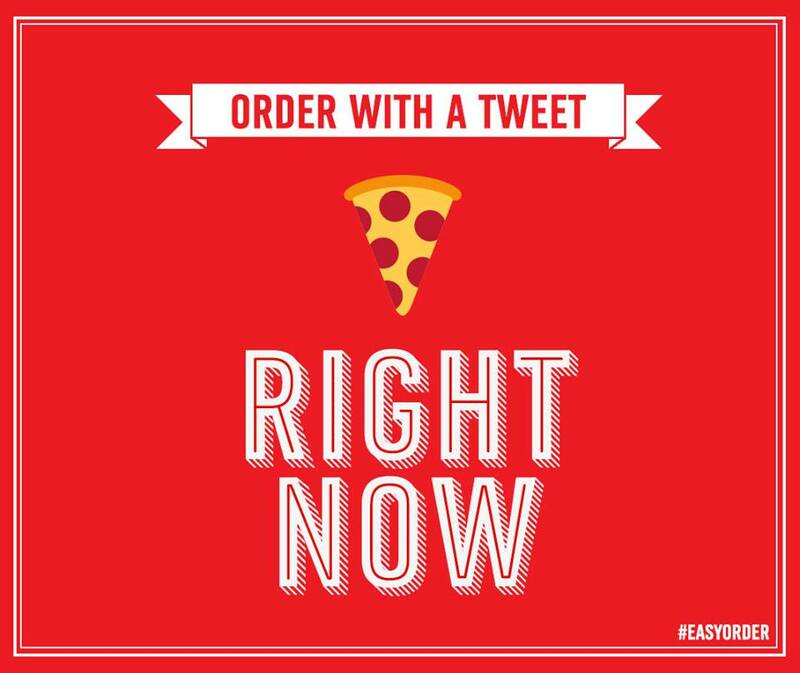 The company has now leveraged state of the art Twitter to enable ordering by emoji, where followers who set up accounts including their Twitter handle, location and payment details – as well as their favorite order – can simply tweet the pizza emoji to Domino’s and receive their order conformation and delivery soon after. It’s a clever in-your-face move, but it is clearly geared at a specific target of tech-savvy, impatiently hungry Domino’s lovers. While this may gain loyalty among that subset, it’s unlikely to move the dial on a larger scale. Expedited online ordering like Domino’s now offers via emoji does face an uphill battle towards widespread use, but it will likely become more common. There are barriers around customer trust – both in terms of the brand (e.g. Can I trust your company with my payment info? What safeguards do you have to prevent accidental/duplicate orders?) and with respect to the technology (e.g. How secure is my payment info? How is it being stored/protected?). For a parallel technology adoption, I’d look to the adoption of app-based payments like Starbucks’ branded app. Consumers will continue to adopt these technologies, but there will be a learning and adoption curve. Staying with Starbucks for a moment, the coffee chain is looking to launch its own delivery service, recognizing that further adoption of new technology around convenience is a competitive necessity. Starbucks is even testing out “green apron” delivery, where actual baristas deliver food and drinks to customers, extending their in-store experience to the customer’s location. In contrast, long-standing QSR leaders like McDonald’s and Burger King have struggled to maintain their competitive leads for several reasons, and technology adoption is among them. However, a question Starbucks must be weighing is how transitioning into a delivery service will redefine their brand, when legacy success was found in offering a comfortable location (the “third place”), as much as for providing coffee. It’s important that Starbucks maintain the integrity of the brand current loyalists love, and having actual baristas in green aprons make the deliveries may just do the trick. Embracing new technologies and meeting customers’ changing expectations of convenience and quick service has helped brands like Domino’s, Starbucks, and Taco Bell win loyalty and increase sales. As more companies test technological strategies designed to provide better service, they’d be smart to keep what’s best about their brands and create offers in line with their core brand messaging. Lily Croll is Senior Social Strategist at Wire Stone, an independent digital marketing agency for global Fortune 1000 brands.